We have an impressive range of luxury vehicles to suit all clients and circumstances. 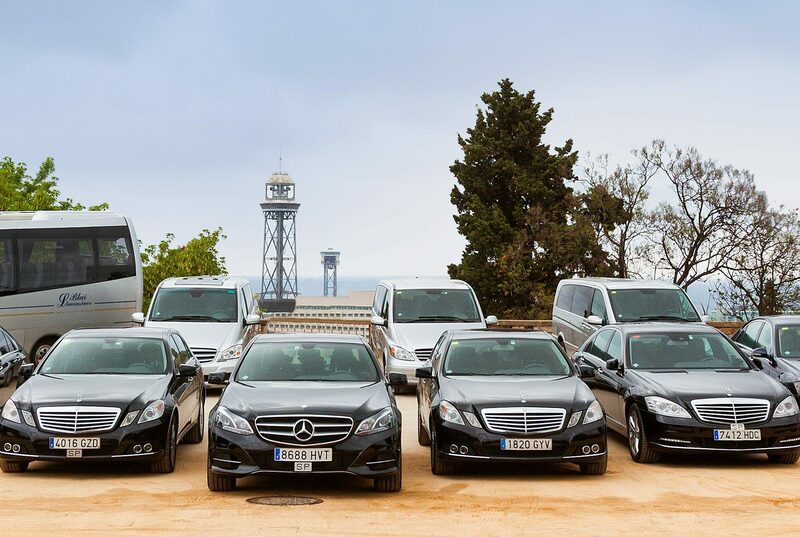 No matter which one you choose, all our vehicles come with a telephone, automatic air-conditioning and, of course, the service of the Blai Limousines team, a guarantee that everything will go as planned. We have been working for 40 years to make your journey a pleasant one. Our chauffeurs are highly qualified, with language skills and they distinguish by their discretion and seriousness and they are suited following the classic chauffer style: black suit, clear shirt and black shoes. In addition, thanks to their extensive experience, they can offer their passengers information about everything related to leisure and culture from Barcelona as well as advice in shopping. Our extensive fleet consists of vehicles less than two years old and a homogeneous image. They are the latest models of the market and have leather upholstery, air conditioning and all details luxury. From the Reservation Center of Blai Limousines we coordinate and supervise each service, solving any unforeseen event as soon as possible so that the client is not affected. On the other hand, we maintain close contact with the staff of your company and we take care to provide you with the details of the services performed to simplify the control and billing procedures.